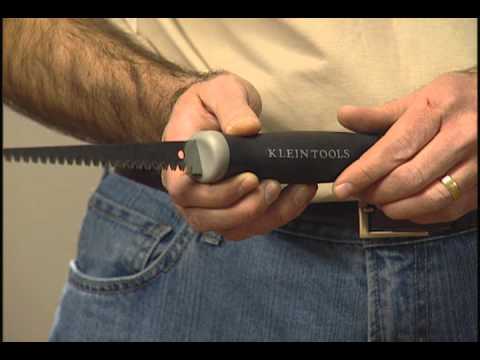 Klein Tools' Key Hole Saw is designed with the professional user in mind. The rugged, heavy-duty Hole Saw provides superior results with less effort. A curved front-end design allows for comfortable, two-hand use. Never use blade as a prying device as blades may break & cause injury.